We continue to advocate and lobby for the improvement of our resort town of Negril, which is desperately in need of major infrastructure development. There are talks of major development in the Negril area and while the NCC welcomes the development, we strongly believe that there must be adequate infrastructure that can support a sustained development. We must also bear in mind the social needs of a growing community such as clean, safe, attractive public spaces, as shown in the video below. 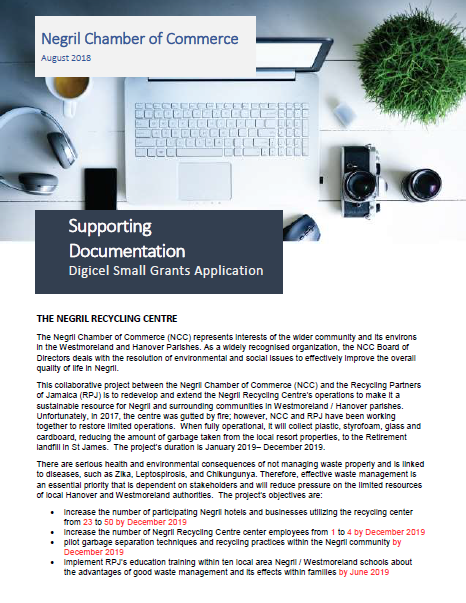 The NCC was able to provide extensive work into the repairing and re-establishing of the Negril Recycling centre which was burnt down in 2017. We are now in contact with the Recycling Partners of Jamaica to reinstall a bailer for the plastic bottles and cardboard which are collected as well as possible solutions for glass. Re-roofing of an additional section is needed in order to store cardboards. Seeing the urgent need, we raised $470,000 JMD from Rockhouse Hotel, NCC and Charela Inn. We have collected $400,000 JMD in advance rent from Recycling Partners of Jamaica, this sum will be used to install electricity; then we will be ready to start collecting cardboard. A grant was submitted to the Digicel Foundation to seek additional funding to support these efforts and as of December 2018, we are finalists (out of 170 applications) When fully operational, these efforts will greatly reduce the amount sent to the land fill some sixty miles away in the parish of St. James. 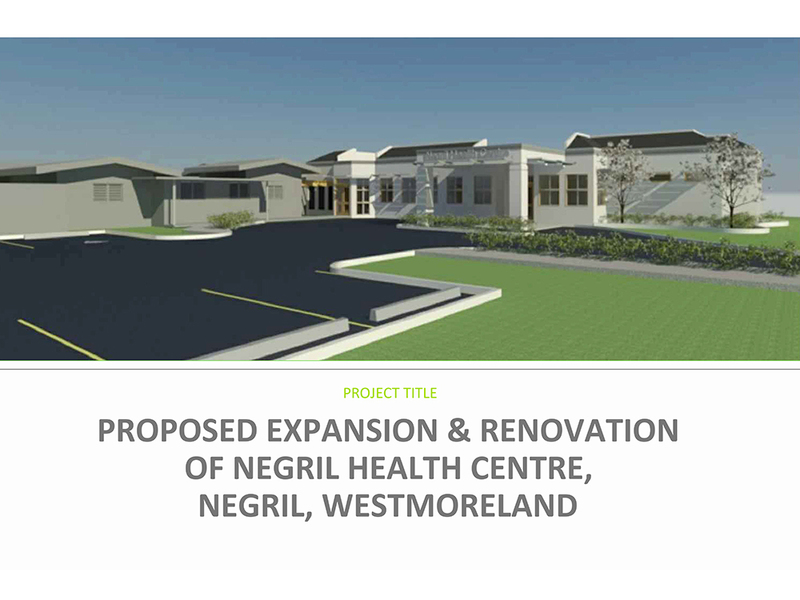 The NCC established a Negril Health Centre Fund to assist in the upgrading of the Negril Health Centre. The fund’s objective was to raise $150 million Jamaican dollars before the start of the building process. These funds would improve the quality of health services provided to the local community as well as tourists.